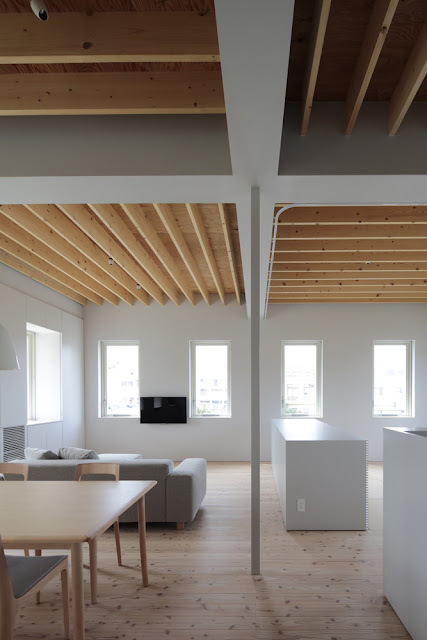 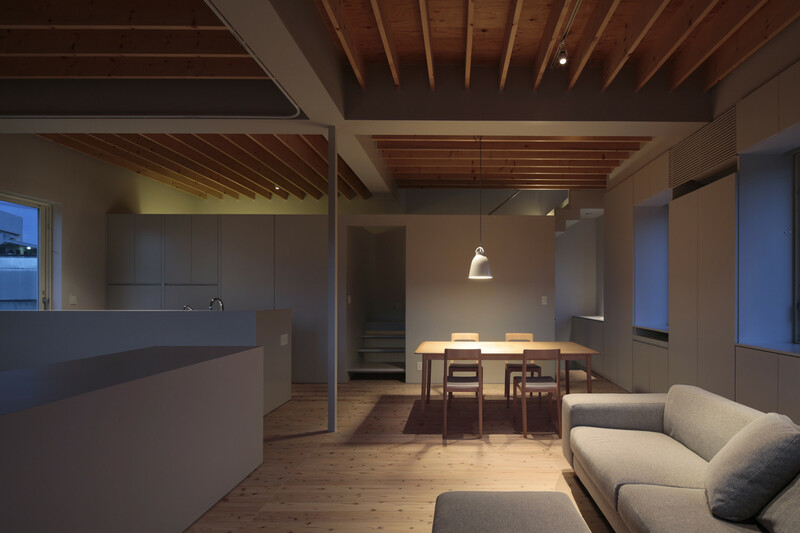 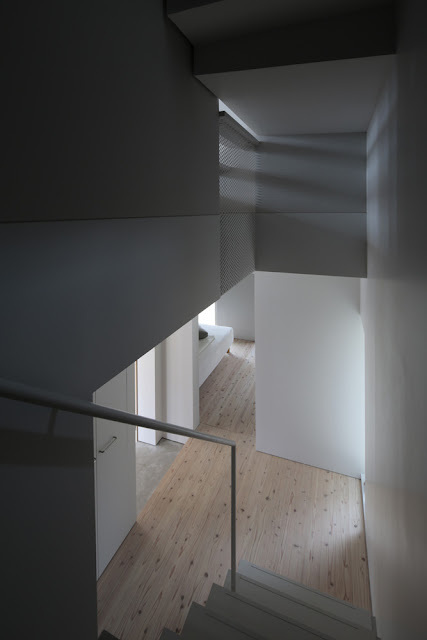 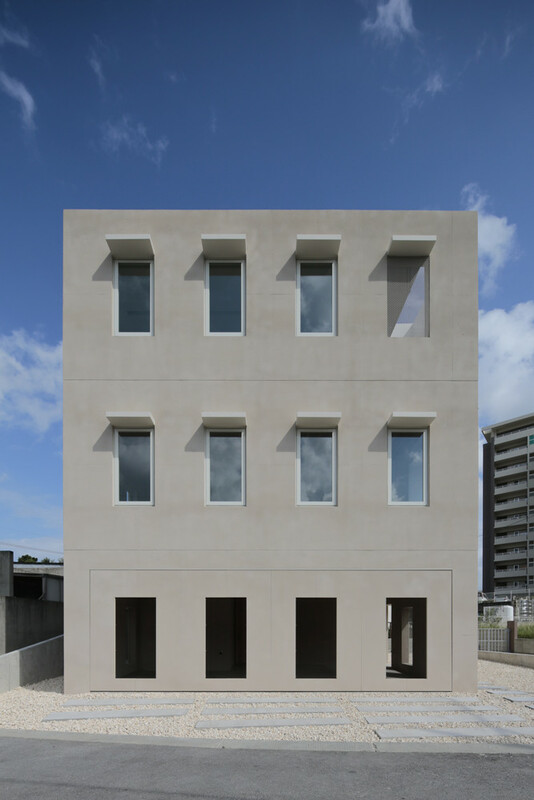 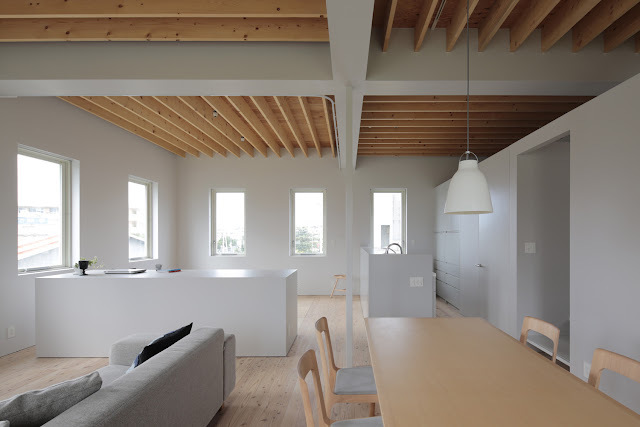 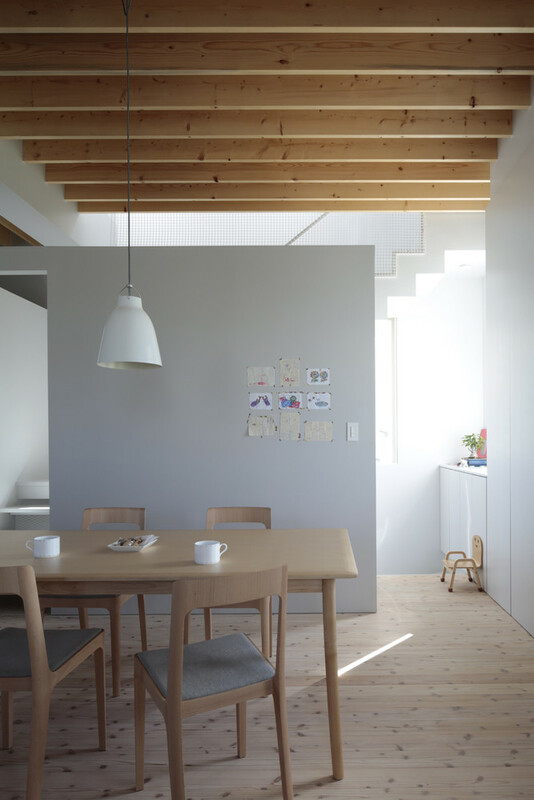 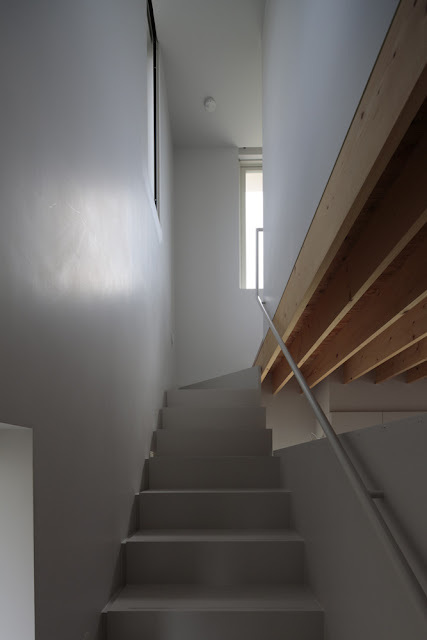 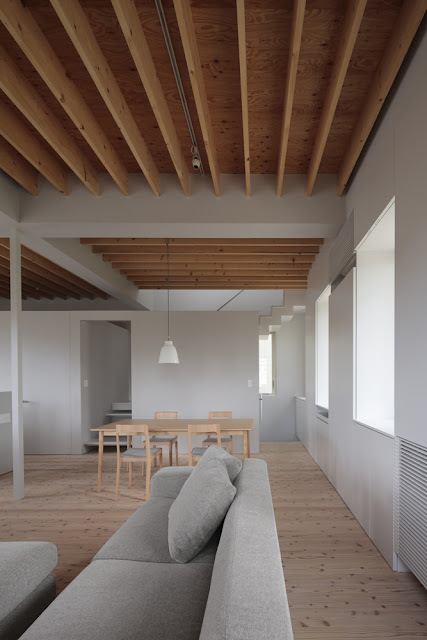 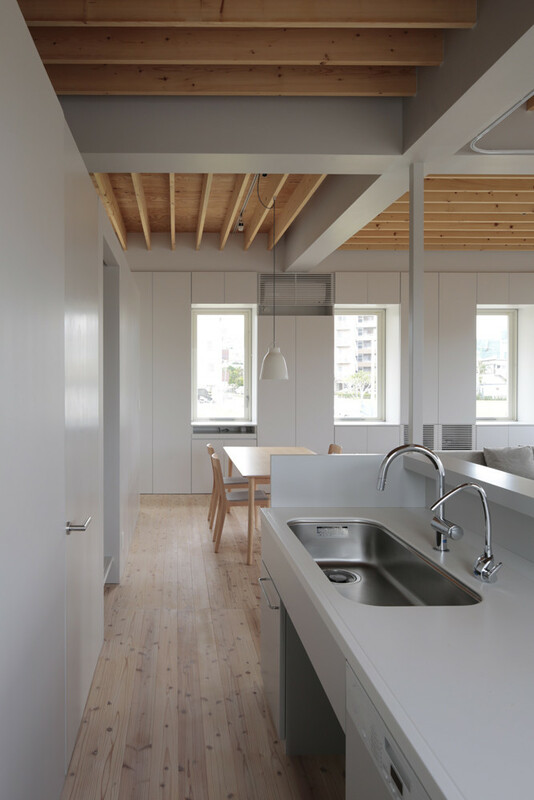 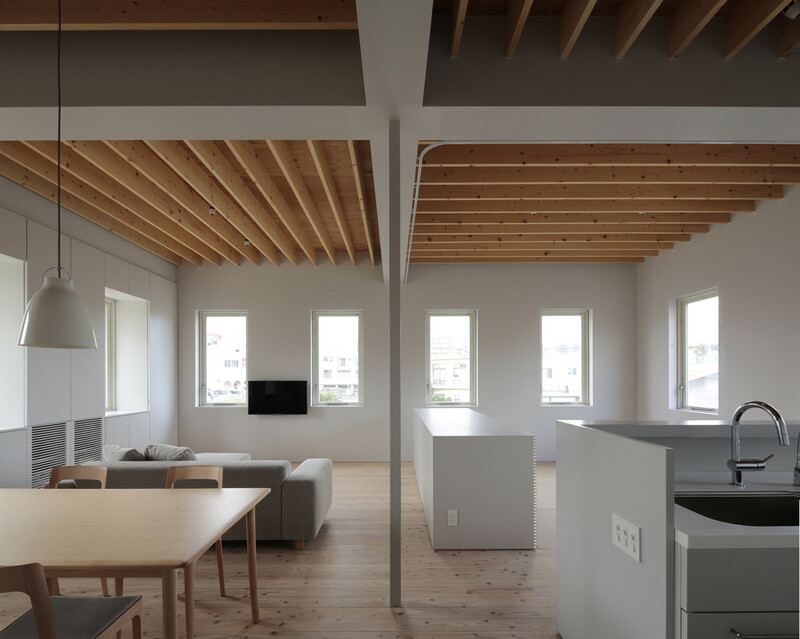 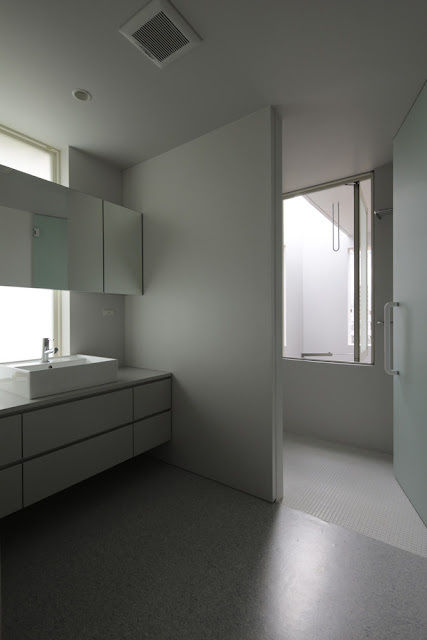 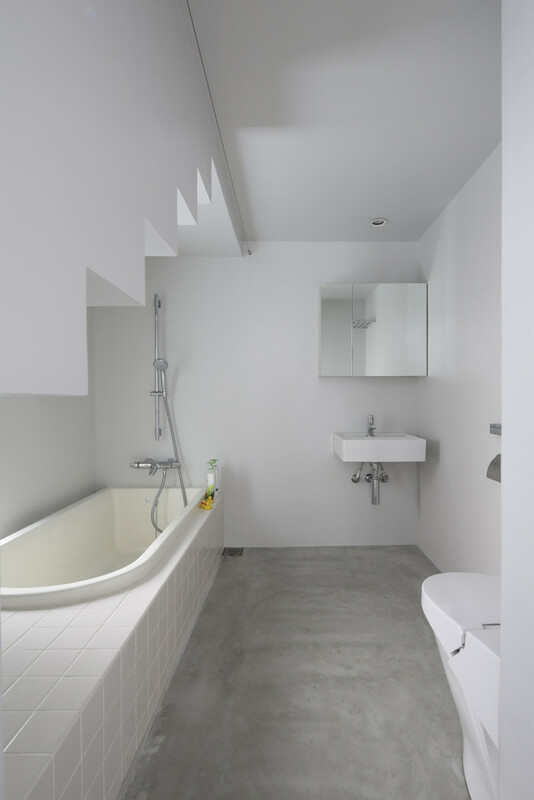 Japanese architects Rhythmdesign designed a minimalist residence in Tomigusuku, Okinawa Prefecture, Japan, featuring a cubic shape with an array of identical openings on three sides. 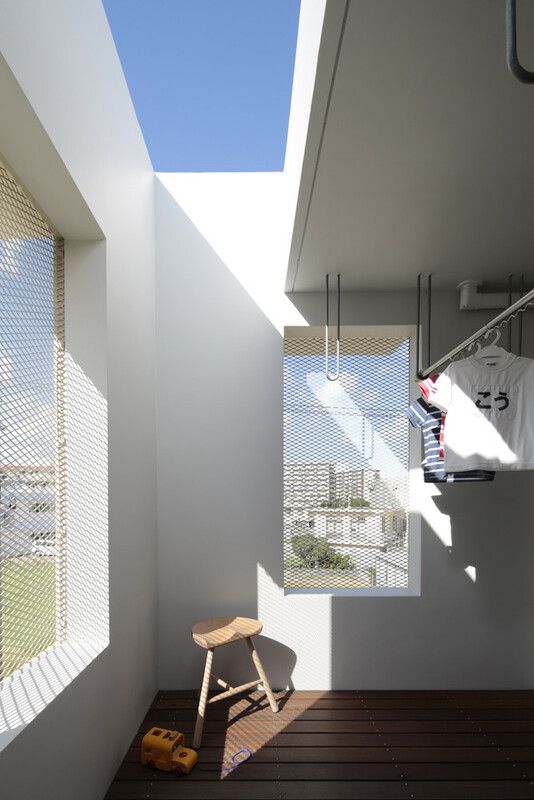 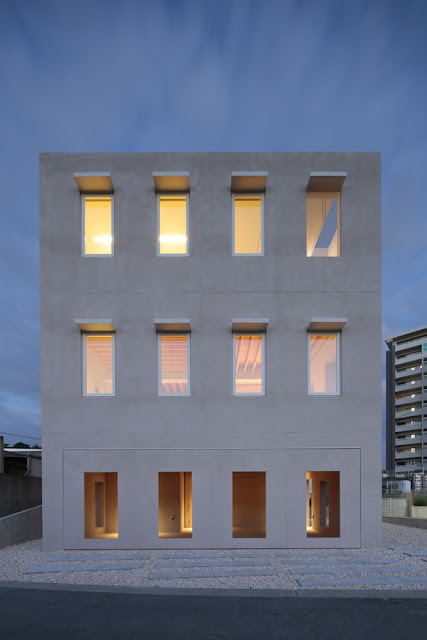 These small windows can be easily opened from every room, creating cross ventilation for different spaces in a simple, easy way, responsible to the city’s climate. 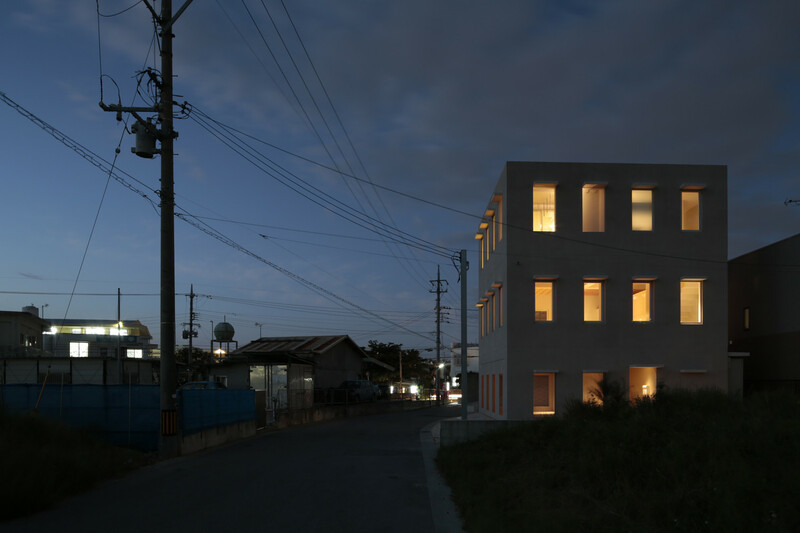 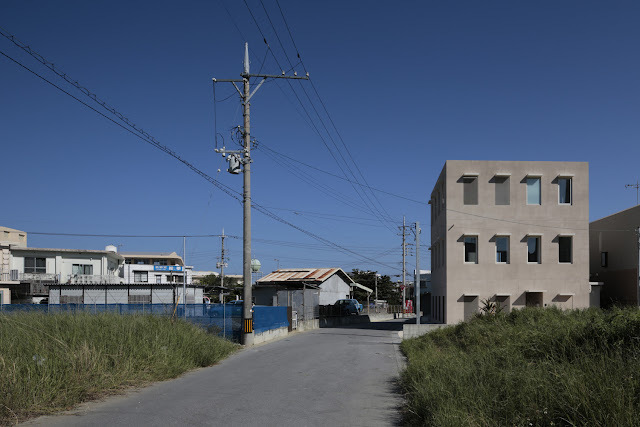 “Three stories high building in an urban area of Okinawa, JAPAN. 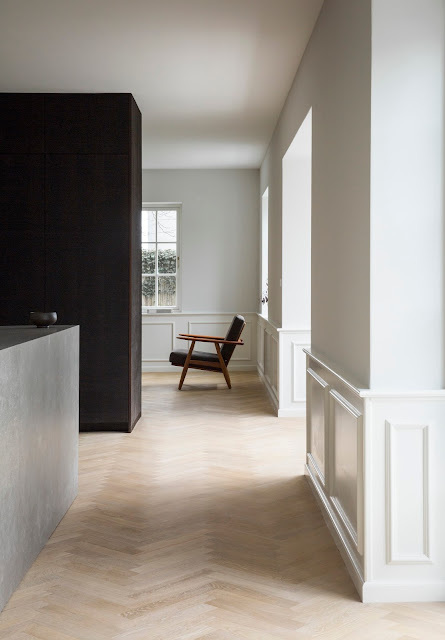 Outer skin is made out of concrete, and inner skin, where people touch, consists of woods. 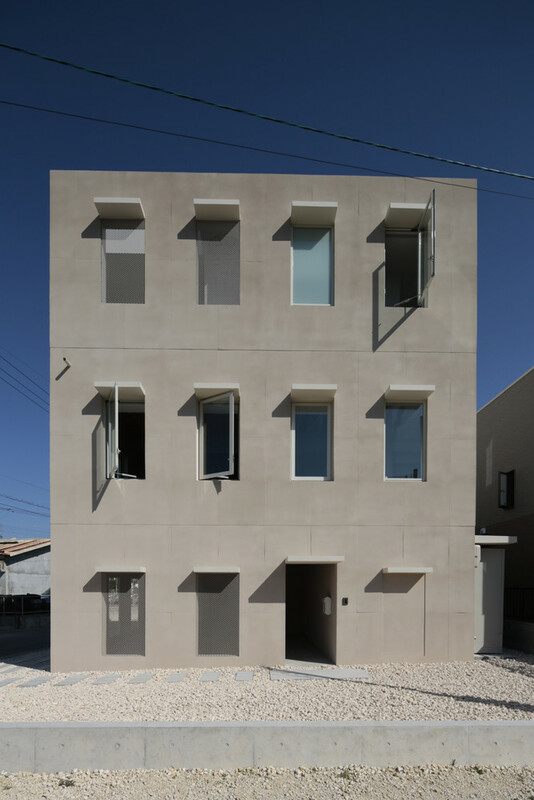 On the exterior wall, there are some windows at fixed intervals and the windows are small enough to be opened and closed by a child. We aim to create a situation which indoor environment can be controlled by our hands and also works well in the tough climate of Okinawa.